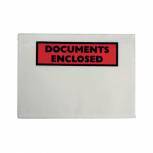 Documents Enclosed Self-Adhesive A5 Document Envelopes (Pack of 1000) 4302003 Pack of 1 Self Adhesive Document Envelopes keep contents safe and dry. A5 (175x235mm) Printed - Documents Enclosed. Pack 1000. 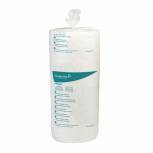 AirCap Handiroll Bubble Wrap 750mmx60m Roll Small Bubble CL HANDIROLL Pack of 1 Sealed Air Cap Bubble Handi Roll. 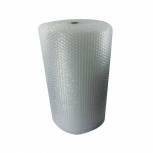 Air Cap barrier-sealed, non abrasive bubbles that resist punctures and prevents corner cut through, ideal for long term product protection. Small bubbles (9.5mm), 750mm wide, 60 metres long. 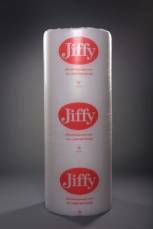 Jiffy Bubble Film Roll 750mmx75m Small Clear BROE53955 Pack of 1 Jiffy Bubble Film Roll. Combines strength and cushioning properties, ideal for protecting fragile and delicate articles. All purpose and easy to cut, fold and seal. 4 - 6 bubbles per square inch. Size: 750mmx75 metres. 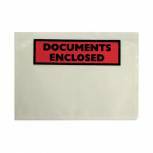 Documents Enclosed Self-Adhesive A6 Document Envelopes (Pack of 1000) 4302002 Pack of 1 Self adhesive document envelopes keep contents safe and dry. A6 (126x168mm) Documents Enclosed. Pack 1000. Stretch Wrap Film 400mm x250m Heavy Duty 20micron NY20-0400-0250 Pack of 1 Stretchwrap film for wrapping and bundling pallets and packages. Use by hand or with Stretchwrap dispenser. Heavy duty - 20 micron. Size: 400mm x 250m. 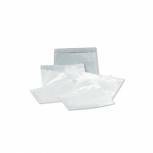 Clear Minigrip Bag 100x140mm (Pack of 1000) GL-06 Pack of 1 Revolutionary plain re-sealable bags. Sealed better and faster with simple interlocking seal. Pack 1000s. 100x140mm. 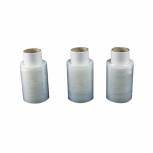 Jiffy Bubble Film Roll 1200mmx45m Large Cell Clear BROE33080 Pack of 1 Jiffy Bubble Film Roll. Combines strength and cushioning properties, ideal for protecting fragile and delicate articles. All purpose and easy to cut, fold and seal. 1 bubble per square inch. Size: 1200mm x 45 metres. 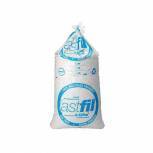 Green Loosefill Polystyrene Chips (Pack of 15 Cubic Feet) 65804 Pack of 1 S shaped polystyrene chips which lock together when poured into a carton to provide a secure transit pack for delicate objects. 1 bag of loosefill chips. 15 cubic foot. 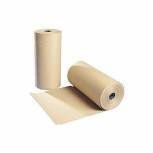 Kraft Paper Roll 750mm x25m IKR-070-075002 Pack of 1 Durable paper for wrapping packages. Strong and smooth kraft paper construction. 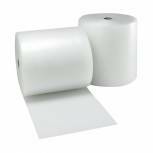 Also ideal for craft use Supplied on heavy duty roll Format: 750mmx25m. 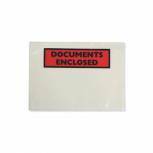 Plain Self-Adhesive Document A6 Envelopes (Pack of 1000) 4301002 Pack of 1 Self adhesive plain document envelopes. Manufactured with oxo-biodegradable film that begins to degrade following exposure to sunlight. Keep contents secure and dry. Size: A6 (126x 168mm). 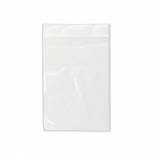 Documents Enclosed Self-Adhesive A7 Document Envelopes (Pack of 1000) 4302001 Pack of 1 Self adhesive document envelopes keep contents safe and dry. A7 (111x123mm) Documents Enclosed. Pack 1000. 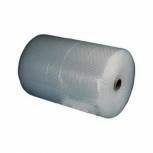 Jiffy Bubble Film Roll 1200mmx75m Small Cell ClearJB-S20L-120175 Pack of 1 Bubble film combines strength and cushioning properties, ideal for protecting fragile and delicate articles. All purpose and easy to cut, fold and seal. 4-6 bubble per square inch. 1200mmx75m. 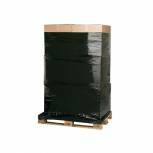 Stretchwrap Film 500mmx250m Black NY17-0500-25Black Pack of 1 The ideal Stretchwrap for use in security situations where it is not desirable for the pallet contents to be seen. Each roll is 500mm widex250m. 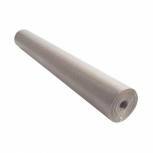 Flexocare Mini Stretchwrap Roll 100mm (Pack of 10) 97151015 Pack of 1 Mini Stretchwrap film for wrapping and bundling pallets and packages. Use by hand. Light duty - 15 micron. Size: 100mm x 150m. Stretch Wrap Film 400mm x250m Medium Duty 17micron NY17-0400-250 Pack of 1 Stretchwrap film for wrapping and bundling pallets and packages. Use by hand or with Stretchwrap dispenser. Medium duty - 17 micron. Size: 400mm x 250m. Documents Enclosed Self-Adhesive A6 Document Envelopes (Pack of 100) 9743DEE02 Pack of 1 Self adhesive document envelopes keep contents safe and dry. A6 (126x168mm) Documents Enclosed. Pack 100. 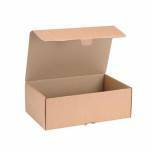 Mailing Box 395x255x140mm Brown (Pack of 20) 43383252 Pack of 1 Dimensions: W395 x D255 x H140mm. Comes flat packed and easily assembled. Made from strong corrugated cardboard Write-in mailing label Ideal for mailing gifts, business parcels or items sold online.